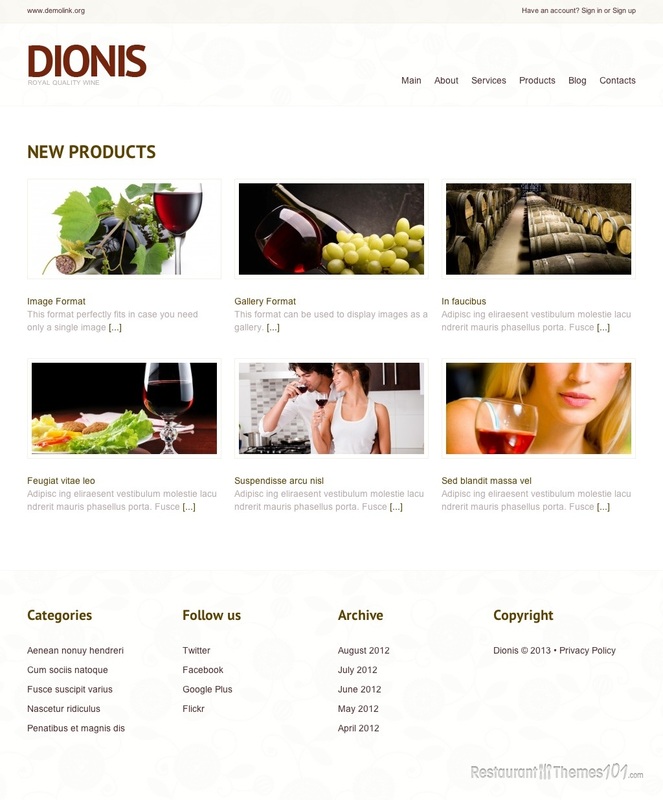 If you are looking for a clean, fresh WordPress winery theme with a touch of sheer elegance, Dionis is the right choice for you. 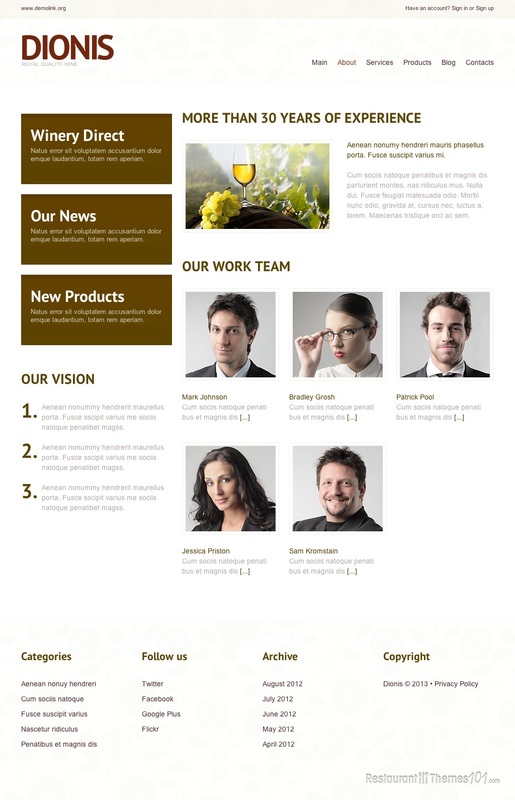 Jenny created this beautiful theme and it is featured at Template Monster. 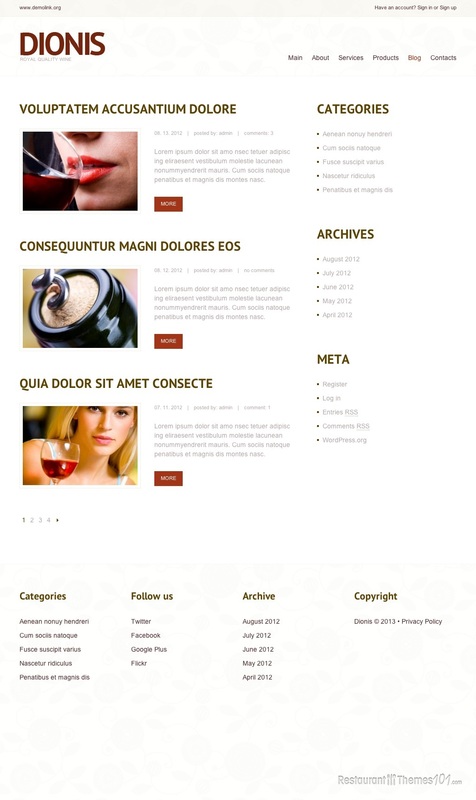 Dionis lets you showcase your content in a nice and clean way, making sure your wines are in the spotlight. Your most important products can be featured on the homepage with pretty photos and interesting boxes. A nice, short note to your visitors or a catchy phrase can be presented for everyone to see as soon as they enter your website, so make sure you write something good here, for this is what your guests’ attention will be pointed at. Featuring your most important posts will be very easy, and they will be presented on your homepage in a pretty, attractive manner with resized photos and short description text followed by a “more” button. This button will be linked to a full content page where your visitors can read all about the products you’ve featured. 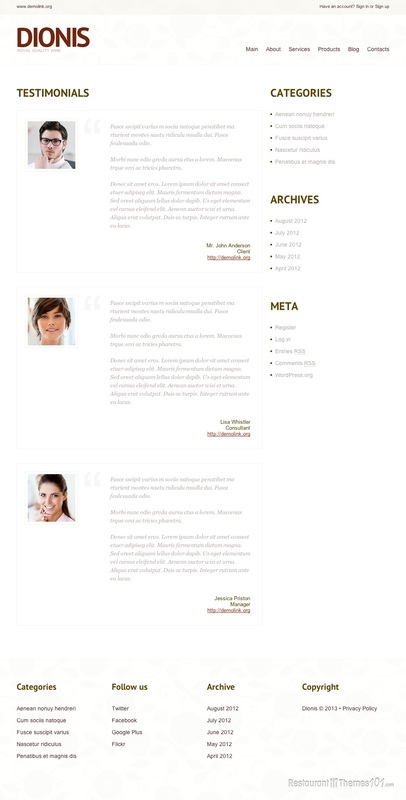 Testimonials coming from your satisfied customers can be added to the homepage as well, and there is no better advertising than praising words of existing customers. Your products will have their own separate section where you can categorize them nicely and present them with text and quality photos. 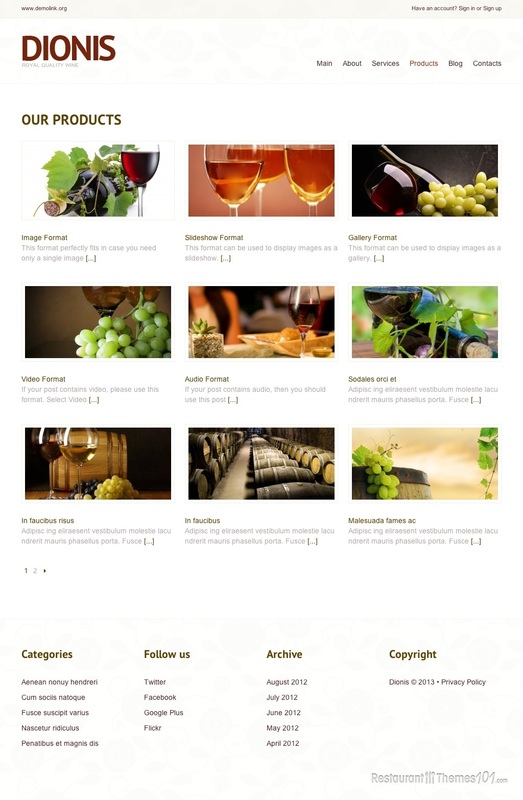 There is a blog section for you to go freely speak your mind and present your winery to your visitors through nice, detailed posts. 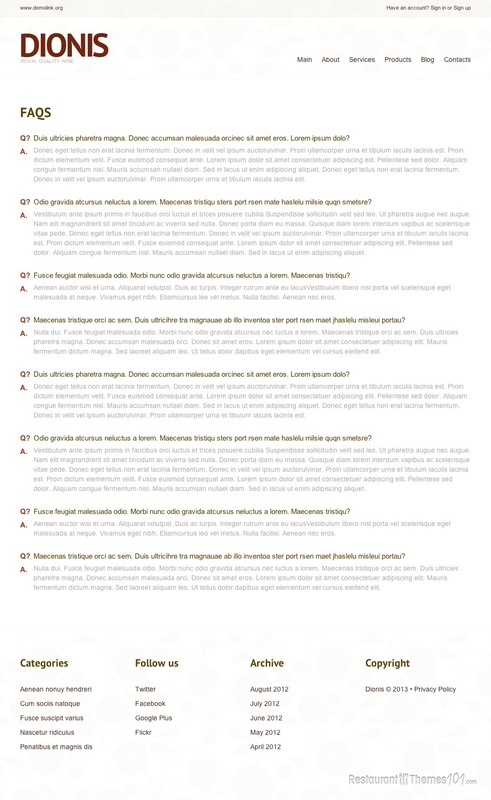 The blog can be shown in 1, 2, 3 or 4 columns; it is all up to your preferences. Google Maps integration is placed in the contacts section, and you will have a map shown in here with your location pinned on it. A nice contact form is also featured for your guests to be able to message you easily and quickly. 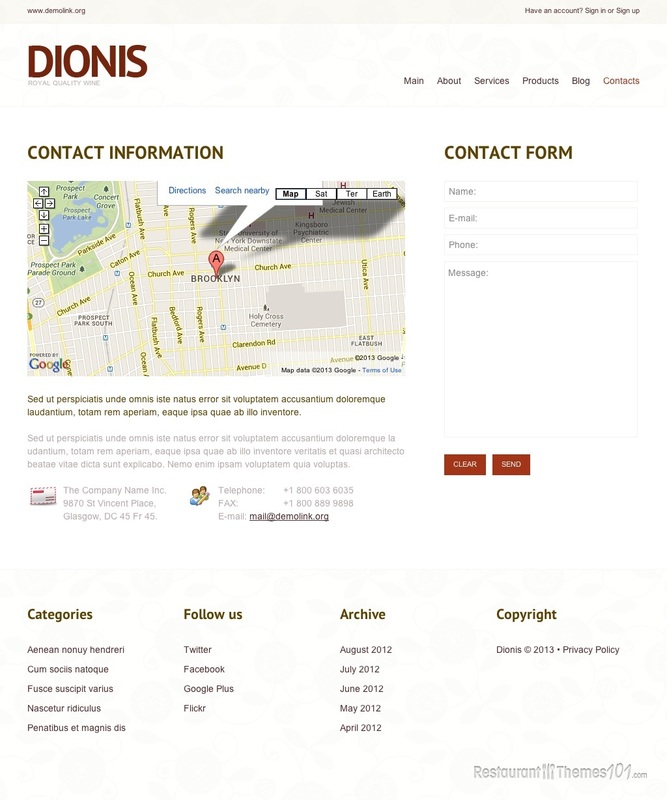 Dionis is created with bright, clean colors and the point of the whole theme is placing your winery and its products in the spotlight, just like it should. 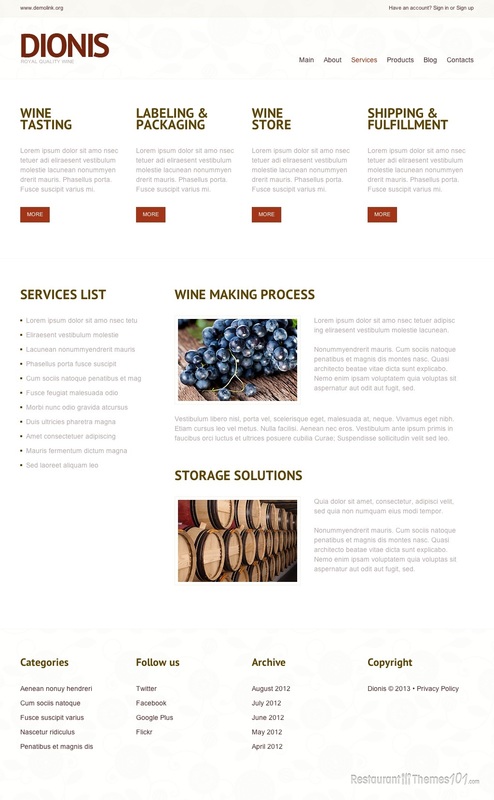 This is a beautiful winery theme for WordPress you must check out!